OralID™ is a portable, hand-held light designed to be used as an adjunctive device for oral mucosal screening. OralID emits a blue light into the oral cavity resulting in the green fluorescence of normal, healthy tissue while abnormal tissue will appear dark. 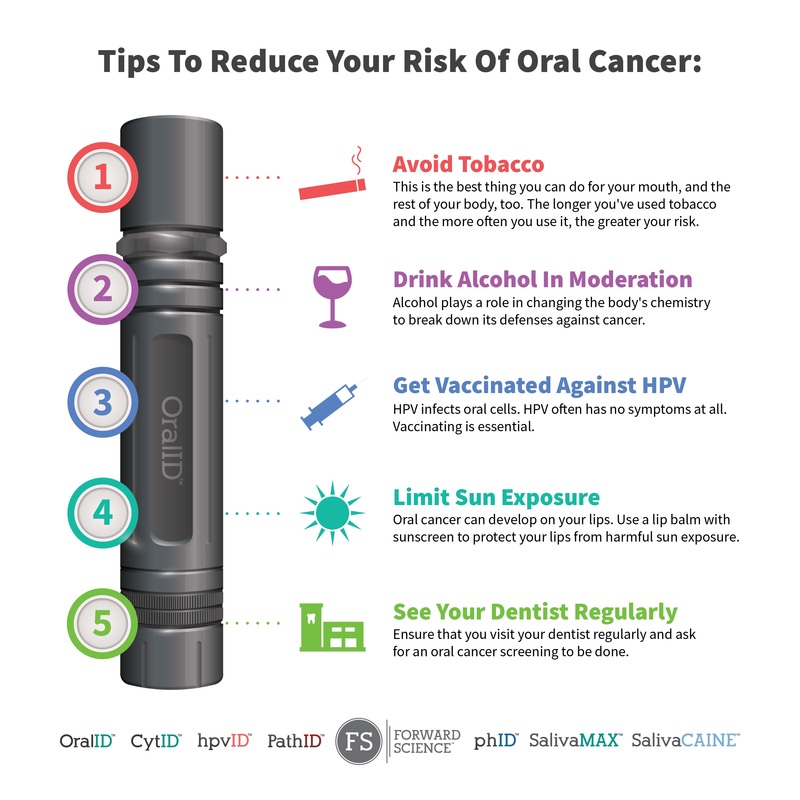 OralID is intended to aid in visualization of oral mucosal abnormalities, such as oral cancer and dysplasia.